Can Acupuncture Alleviate Menopause Symptoms? Many women experience a myriad of both emotional and physical symptoms in the years leading up to the menopause and beyond. Hot flushes, night sweats, low mood, vaginal dryness, sleeping problems, anxiety, headaches, general aches and pains, palpitations and urinary problems can all contribute to making women’s lives challenging during this time. 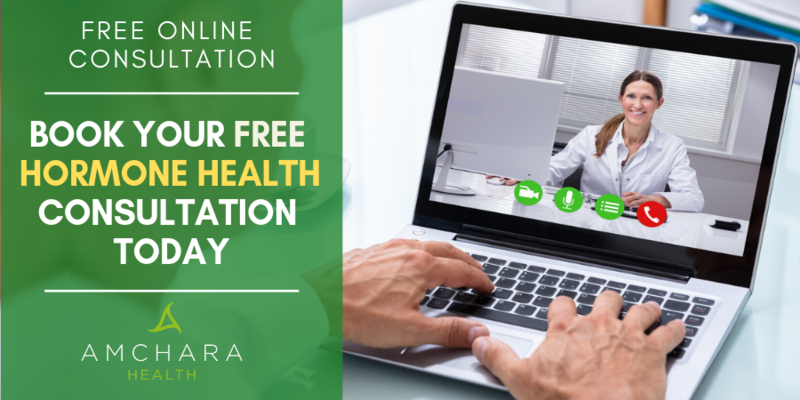 In the modern internet world there is an overwhelming amount of information and it can be hard for you to find health advice that you can trust, particularly as the main media channels are typically dominated with a single, orthodox narrative. 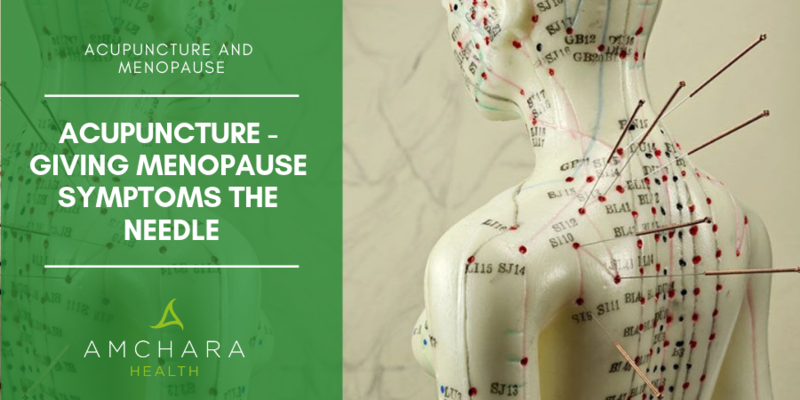 In this article, we’ll look at a promising, centuries old treatment for menopause symptoms – acupuncture. In the UK, as many as 80% of women experience some sort of symptoms as they go through the menopause. For more than one third of women, symptoms are troublesome enough to prompt a visit to their GP because the combination of their symptoms is severe enough to interfere with normal life. One survey in 2014 revealed a staggering 10% of women seriously consider giving up work as a result of menopause symptoms (1). Although we’re all different, menopause usually occurs between 45 and 56 years of age, and because everyone is different, one women’s experience of menopause will be very different to another’s. It is estimated that there are at least 30 different symptoms associated with this stage of life. These symptoms typically continue for an average of 4-5 years, although in some cases they can persist for up to 12 years. Hot flushes are estimated to affect over 75% of women. As the ovaries start to produce less oestrogen, menstrual periods become less regular and eventually stop completely. The symptoms experienced at menopause are a result of these changes in hormone levels. Less oestrogen can lead to low levels of a substance called serotonin. This is known as our happy hormone, and it is the effects of oestrogen on serotonin levels which can lead to the depression and anxiety experienced by many women as they go through the menopause. 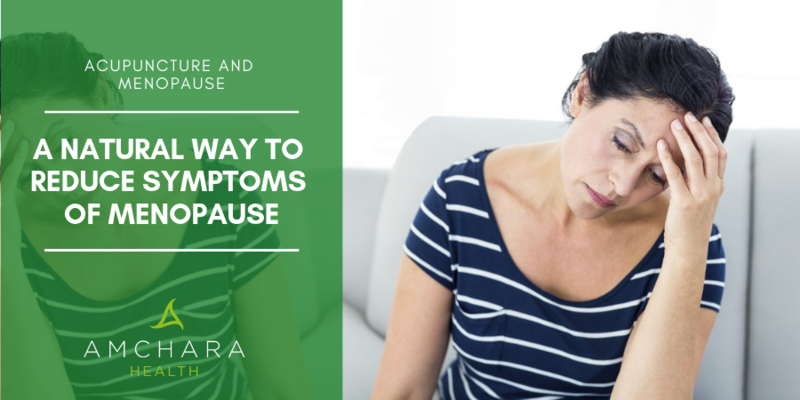 Although menopause is a natural and only temporary stage of every woman’s life, this phase can generate more than its fair share of physical and psychological discomfort and distress for some women. Sometimes, the severity of symptoms can make it seem as if it’s going on forever. Many women turn to hormone replacement therapy (HRT) which can be useful for symptoms such as hot flushes, sleep disturbances, foggy head and anxiety. HRT is often prescribed for many years as a treatment for menopause symptoms. However, HRT can cause side effects in many women, such as breast tenderness, bloating, leg cramps, headaches, indigestion and nausea, along with vaginal bleeding. For some women it carries an increased risk of hormone dependent cancers. For many years, women have turned to traditional therapies such as acupuncture to find relief from their symptoms. Until recently, scientific research on the effectiveness of acupuncture in relation to menopause symptoms has been thin on the ground. However, new research suggests acupuncture may indeed be helpful in relieving troublesome menopause symptoms. Acupuncture has its roots in Ancient Chinese medicine. The treatment is based on the belief that energy moves around the body through specific pathways called meridians. This energy flow or life force is known as qi (pronounced ‘chi’). As long as qi is allowed to flow around the body without any interruptions, the body can maintain its own health. However, if the energy falls out of balance, illnesses can occur. By restoring the balance of energy, health can be restored. To do this, extremely fine needles are inserted at specific points on the body according to the patient’s symptoms. By doing this, blockages can be released and a regular flow of qi energy can be restored. There are over 350 acupuncture points around the body. Although needles are inserted into the skin, acupuncture is a largely painless process and many people find it extremely relaxing. Acupuncture as a treatment has very few side effects apart from occasional allergic rashes and light bruising. It’s been used safely for thousands of years. Acupuncture has long been used with success for chronic pain, low mood, anxiety, headaches and migraine, sleep disturbances, allergies, fatigue and low mood. It’s a traditional therapy which is becoming increasingly accepted by mainstream medicine. Acupuncture is often recommended by GPs for specific issues, particularly back pain and migraine. While there is no scientific method which can be used to measure energy meridians, some researchers believe the needles used in acupuncture stimulate the nervous system to release chemicals which can affect perception of pain or cause hormones to be released. Scientists view acupuncture points as places where nerves, muscles, and connective tissue can be stimulated, leading to increased blood flow. A recent study (2) gave 15 minutes of acupuncture to 70 women for five consecutive weeks. The women suffered from moderate to severe menopause symptoms. They were given acupuncture with needles inserted at five separate points, including just below the belly button, the outside of the knee and above the ankle. A control group received no acupuncture until the sixth week of the study. Both groups were then asked to rate their symptoms at week 3 and 6 by means of a self-completed questionnaire. By week 6 the women who were receiving acupuncture experienced significant decreases in hot flushes, night sweats, general sweating, sleep problems, emotional and physical symptoms and skin and hair symptoms, compared to the women not receiving the acupuncture. Some improvement was noted even after three weeks, and an impressive 80% of the women in the acupuncture group said they felt the sessions had helped. No serious adverse reactions were reported from the treatment. It’s possible the results of this study were a result of the placebo effect, where the expectation that a treatment will work is effective, rather than the actual treatment. The placebo effect tends to be pronounced when a person receives individual attention from a therapist instead of simply being given a tablet. Unlike drug and supplement trials, which use dummy pills made to look like the real thing, it’s more or less impossible to give acupuncture to somebody without their knowing they have received it. One technique which is sometimes used is the so-called sham acupuncture. To someone untrained in the therapy, it looks like standard acupuncture, but the practitioner either places the needles in points other than acupuncture points, or the needles don’t pierce the skin. However, it’s not an ideal control, as even sham acupuncture will produce some sort of response in the body (3). In this study, participants were allocated randomly to the treatment group and the control group, and the researchers analysing the data did not know which group’s data they were analysing, in order to avoid any bias. Some previous research had been carried out on acupuncture and menopause symptoms in the 1980’s and 90’s, although these studies often didn’t include a control group. However, the studies did suggest acupuncture may benefit menopause symptoms, particularly hot flushes, depression and anxiety. One study even produced symptom relief comparable to taking HRT (4). Researchers noted these effects can continue for as long as 12 months after the acupuncture is stopped (5). Another interesting study looked at women who had started their menopause early, due to ovarian insufficiency. This is a condition where a woman’s periods stop completely before the age of 40. Although the cause of the disorder is not known and is probably due to many factors, these women experience similar menopause symptoms to older women, as their ovaries don’t produce sufficient oestrogen. Women with this condition have high levels of follicle-stimulating hormone (FSH), which the body releases to try to stimulate the growth of ovarian follicles. Acupuncture was found to decrease the levels of FSH and in many cases, menstruation began again. This meant menopause symptoms reduced for these women (6). One problem which many women experience when they enter their menopause years is a tendency to put on weight. This can be due to a decrease in the speed of metabolism brought about by falling oestrogen levels. Research has found acupuncture can help weight loss because it influences not only appetite, by altering the levels of ghrelin (the hormone which makes us feel hungry), but also speeds up metabolism, by influencing leptin levels (7). Leptin is known as the hormone which makes us feel full after meals, and leptin levels are connected with the speed of our metabolism, in other words how fast we burn off energy. Cut down on caffeine, sugar and alcohol, which can worsen hot flushes. You may find spicy foods spark off a flush. Some women find fermented soya products like miso and tempeh to be useful in controlling hot flushes. They are rich in substances known as isoflavones which act as weak, natural oestrogens known as phytoestrogens. These can gently boost oestrogen levels. Research is still ongoing regarding the benefits of soya isoflavones, and they may not be suitable for everyone. Include foods rich in lignans, which are converted by our gut bacteria to phytoestrogens. Flax seeds are a great source of lignans, but they’re also found in lentils, pumpkin and sunflower seeds, beans and some vegetables. Sage is one herb which may help to reduce night sweats, and this is supported by scientific research. Black cohosh has also been found in studies to combat hot flushes. Herbal medicines are best used under the guidance of a practitioner. Regular exercise can increase serotonin levels so may be useful in cases of low mood. It’s a great stress and anxiety-buster, and exercises such as brisk walking, jogging and rebounding on a trampoline can help maintain bone density. Here at Amchara, we have a team of naturopaths if you feel you could benefit from support through your menopause. A personalised consultation, along with functional tests as appropriate can help guide you to better health throughout the menopause and beyond. We’re dedicated to providing you with both insightful information and evidence-based content, all orientated towards the Personalised Health approach. We believe sharing knowledge and experience is an important part of achieving optimal health. With your help let’s continue the conversation. What are your top tips for easing menopause symptoms? We’d love to hear what works for you.